On February 5, there’s a good chance are pretty high that you’re going to be at a party to watch the Atlanta Falcons and New England Patriots face off in Super Bowl LI. Football’s high-intensity action, competitiveness, and excitement are only amplified during the biggest game of the year, but the Super Bowl halftime show, which serves as a way to “cool down” after the first half, might not be for you. 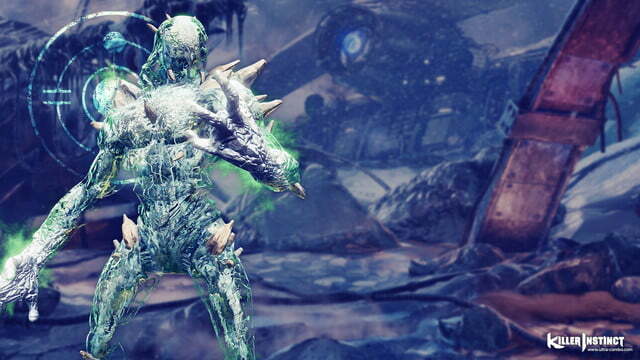 You want to carry that ferocity and competition into a few video games while you wait for the game to resume, and we’ve compiled a list of the best games to keep you busy. Halftime during the Super Bowl lasts about 30 minutes — more than double that of a typical NFL game — which should give you and your friends have plenty of time to get in a few rounds of something. The games we chose for this list were picked both for their excitement level, and for number of games you could comfortably complete without missing the start of the third quarter. We also made sure to feature a few local multiplayer titles ,so everyone at your viewing party can join in on the fun, as well as a classic mobile game if you happen to be the only one who isn’t interested in the halftime show. Titanfall 2 is one of the fastest, most intense, and accessible multiplayer shooters released in recent memory, and with match times that generally only last somewhere between eight and 10 minutes, you’ll have plenty of time to not just get in a round of “Attrition” for yourself, but also to let your friends try out Respawn’s masterpiece. Given the relatively low sales figures we’ve seen from the game since it launches in October, it might even be enough to convince a few more people to buy it. Plus, the game’s partnership with Doritos, Mountain Dew, and Buffalo Wild Wings should fit in perfectly with the Super Bowl commercials you’ve been watching. 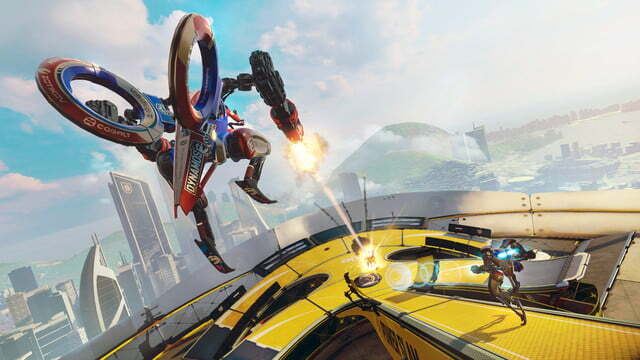 Though it’s technically a shooter, as the name Mechanized Combat League would suggest, Rigs is set up like a high-stakes sport, with plenty of color commentary to keep you entertained as you pilot your robotic soldier-athlete hybrid across the map, firing at the enemy team and providing your teammates with support. But Rigs isn’t a conventional multiplayer game — it uses PlayStation VR, and given the device’s limited availability thus far, it’s likely that none of your friends have had a chance to try the technology out at all. Let the enjoy the wonders of virtual reality while also scratching their itch for competition. If football were condensed down to its very essence — brutality, speed, power, and showmanship — and turned into a video game other than Madden 17, we’d get Gears of War 4. Its sweaty-palm multiplayer component is a constant test of players’ reflexes and situational awareness, with modes like “Dodgeball” forcing everyone on a team to be in perfect sync if they hope to last more than a few minutes. The ridiculous chainsaw executions are the closest thing you’ll see to a touchdown dance, as well, giving the sorry soul on the end of your blade a few extra seconds to think about his mistakes. 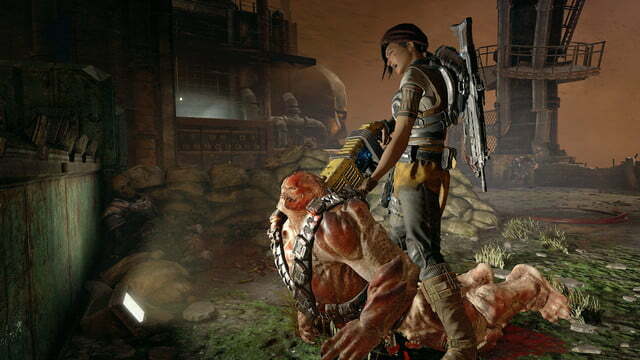 Gears of War 4’s cooperative “Horde” mode will let a few of your friends work together, as well, if you’d prefer to work with your friends, instead of against them. While it isn’t a sport, per se, Overwatch‘s “announcer” gives the team-based first-person shooter the feeling of one. Not only are its matches fast-paced and exciting, but they also serve as a great introduction to those who might not be familiar with competitive multiplayer games. So this is the obvious choice. 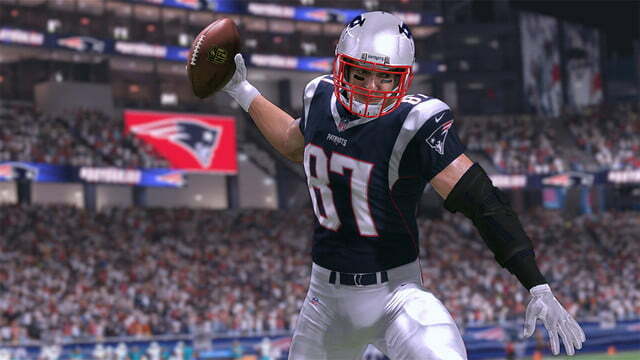 Not only is Madden the perfect way to kill time between halves on Sunday, but also a great option for predicting the game’s outcome. Just play half a game between the Falcons and Patriots, setting each quarter to be about four minutes long, and add the total to what the real-life teams scored in the first half. Sure, it might be totally wrong because one of your friends plays Madden on a regular basis, but at least it will make the second half more interesting! For a little added fun, play a few games with one-minute quarters, throwing nothing but Hail Mary passes to conserve the clock. Your mind might be on football on Super Bowl Sunday, but maybe you’d like a change of pace at halftime. 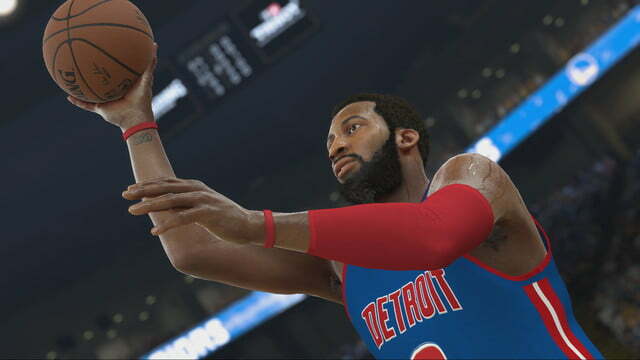 Consider playing a couple games of NBA 2K17. The basketball simulator is one of the best sports games on the market, with near-photorealistic visuals and physics that put most other games to shame. The game also supports cooperative play, allowing you and a friend to challenge two other stars to a pickup game. You can also start a full season, giving your buddies a reason to come back over long after the Super Bowl ends. One of the best fighting games of this generation, Killer Instinct has can pull off combos that are nothing short of stunning, but it’s also one of the more accessible fighters on the market — two inexperienced players can easily duke it out for a few rounds before the Super Bowl’s second half kicks off, and they can do it for the low, low price of free. You only get access to one character that rotates out each week, but if you’re the kind of Xbox Live Gold subscriber who downloads all the “free” games each month, you should have access to the game’s “Season 1” and “Season 2” rosters. The ultimate party game also makes the perfect Super Bowl halftime show distraction. 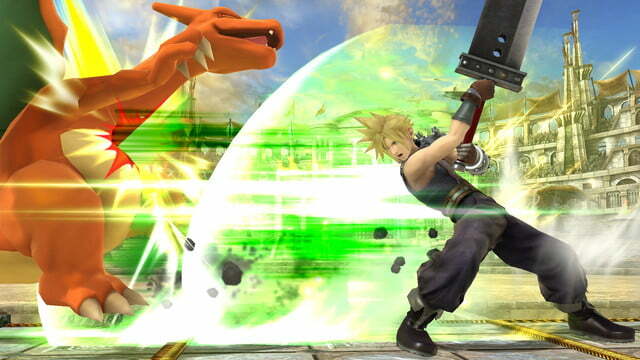 Super Smash Bros. for Wii U is a culmination of the very best design decisions the series has made since its 1999 introduction, with fan-favorite characters like Charizard, Ike, and Ness fighting alongside newcomers like Robin, Greninja, Little Mac, and Mega Man. There isn’t a fighting game as easy to pick up and play as Super Smash Bros. for Wii U, and its ability to create rivalries and end friendships should give you plenty of fuel for the fire when the second half kicks off, assuming you’re rooting for different teams. Though it’s unrecognizable to anyone who has participated in athletics at any point in their lives, #IDARB is indeed a sport. 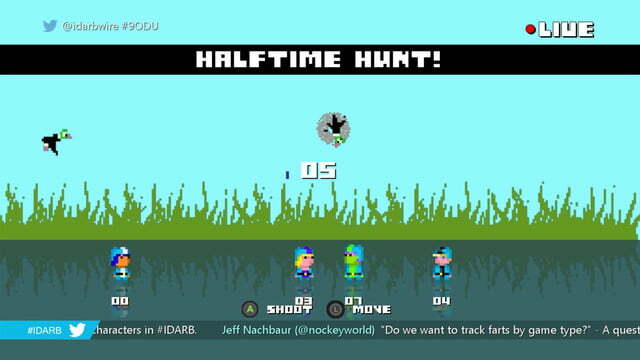 Blending together elements of hockey and basketball with plenty of internet memes, #IDARB is a fast, erratic local multiplayer experience that plays like a wacky fever dream. Controller layouts will suddenly get flipped upside-down, physics will change, and Iron Galaxy’s Dave Lang will make several surprise appearances as each team tries to score on their opponents’ goal. The game even has its own halftime. It sounds insane because it is. Just embrace it. Doom might want to be kept in its case if you have any small children around — its comically ridiculous level of violence is best suited for a slightly more mature audience, but should you be surrounded by adults who want to kill some demons, there is no better choice. Multiplayer rounds are quite a bit shorter than its contemporaries, due in no small part to the fact that the player’s “walking” speed is nearly a dead sprint. Try swapping controllers with your friends after each death, as you’ll be encouraged to take your performance to the next level. 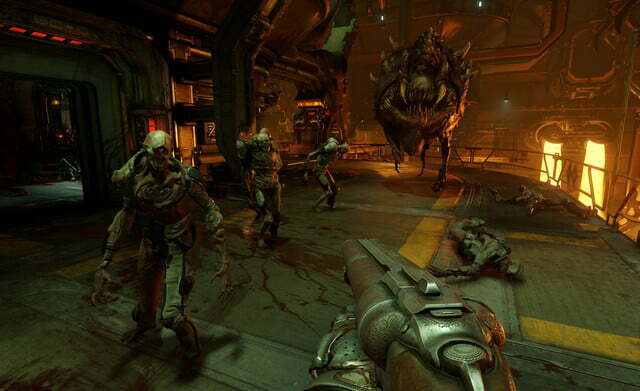 In Doom, death comes quickly. 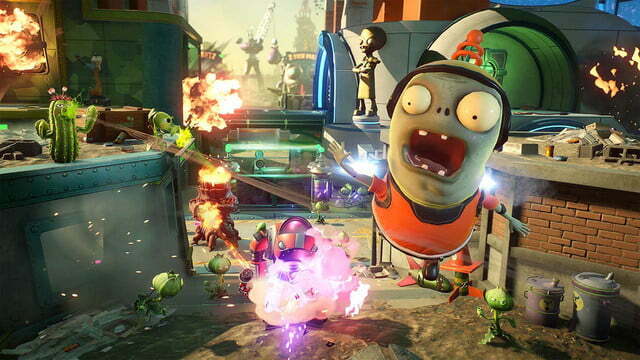 There are plenty of competitive multiplayer options to try out in Plants vs. Zombies: Garden Warfare 2, giving you the chance to try out a variety of crazy characters like Kernel Corn and Captain Deadbeard, but to really make the most of your time during the halftime show, we recommend trying out the cooperative “Graveyard Ops” or “Garden Ops” modes. These wave-based modes task you and your friends with defending a zone from dozens of enemies, and everyone can take on a different role to guarantee victory. Less experienced players might want to try out the well-rounded Pea Shooter class, while veterans can make use of the All-Star — and yes, he’s a football player. Sometimes, you just can’t beat the classics. 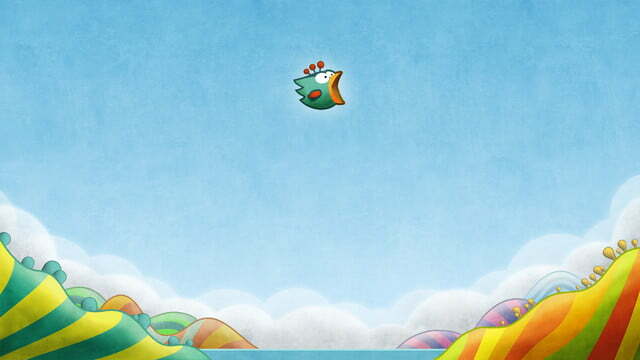 Tiny Wings still stands as one of the best games ever to release on mobile devices, with its simple physics-based action providing the foundation for an incredibly addictive experience. For newcomers, you can expect to get in even more than seven rounds, but we have a word of warning: It will be incredibly hard to tear yourself away from Tiny Wings when the Super Bowl resumes, especially if you find yourself climbing up the scoreboard or nearing that next island.